Tomorrow, February 11, 2012, Lowe’s is having their FREE Build & Grow Clinic for kids from 10-11 am. 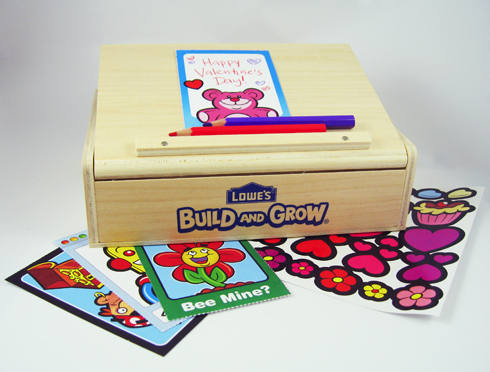 This weekend, they will be building a Valentine’s Day Card Creator. Your kids will absolutely love making their own personalized cards – and Free is always better than paying for those Valentine’s cards they exchange in class! You can register for the clinic here, but make sure to get there early, they have a limited amount of kits, and once they run out they’re done! Find more Free Weekend Activities, Free Kids Educational Resources, and Free Events on Faithful Provisions.